Remember the time before our collective social media addiction? The freedom? The frolicking? The lack of people calling you a “snowflake libtard” after you make an innocuous comment? Wonderful days. Well, Facebook is trying to help us recover them. 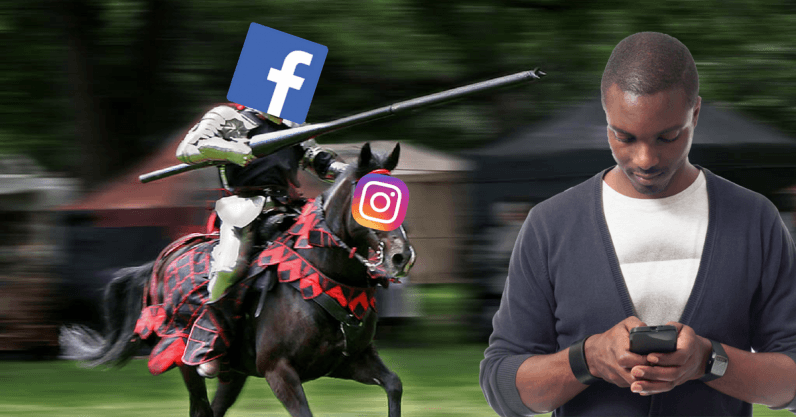 As we previously reported, the social media giant has announced the launch of a set of tools to help us manage the time we spend on Facebook and Instagram. This is an example from Instagram, but the Facebook version looks almost identical. Again, Facebook looks very similar. On the surface, it’s a good move. Social media has been proven to be as addictive as gambling and experts have been calling for responsible use of the technology for a long time. This is undoubtedly a step in the right direction, as well as a move that legitamizes the problem. But – and you know there’s going to be a but when Facebook is involved – I can’t look at this as anything other than a cynical move to keep the public happy and still addicted. First off, the activity dashboard is in the settings page of both social networks, not somewhere the average person hangs out. If Facebook was serious about people getting mindful of their social media use, it would place this on the main menu of both apps. Next up, the usage reminder. To be fair, this is something that makes sense to be in settings, as you’ll likely only need to set this once or twice. Still, I’d guess that much like OSX‘s “Updates Ready to Install” notification, people will quickly get adept at ignoring this prompt when it pops up. Finally, we have the mute notifications feature. There’s been a trend of people disabling all phone notifications and my view is that Facebook is trying to get the jump on individuals doing this. It’s far better for the social media network to give people the option to mute notifications for a short period, rather than lose access to their attention entirely. While these features will undoubtedly help some people with social media addiction, they appear to be more of a way of soothing detractors than making an actual difference. Despite my reservations, overall it’s a positive thing and social media addiction is a serious issue. But, did Facebook implement these features because of public pressure? Probably. But at least that shows the social media giant does take us seriously. Well, sometimes at least.